The audit dialogue will consider the skills set required for the internal auditor of the future. The key skills sets to be discussed consider foundation, business and digital skills groupings. The presenter will give practical examples of the journey they have undertaken. An hour plenary presentation over the internet live from Houston in Texas followed by questions. 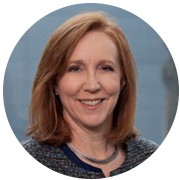 Julie is a seasoned executive with deep experience in risk, internal audit, and financial management experience. Diverse skills serving global organizations in the technology, manufacturing and other sectors. Register for the event by 12 February 2019, 15H00. Please book now to avoid disappointment. Space is limited and confirmation of attendance will be handled on a first come, first served basis. Please note that once you have booked, but cannot attend, you are requested to send a replacement as costs will be incurred on your behalf. If delegates have booked, but do not attend, a charge will be levied to cover expenses. Also note that once we have received your registration, you have acknowledged this clause.